The Norton Museum of Art. 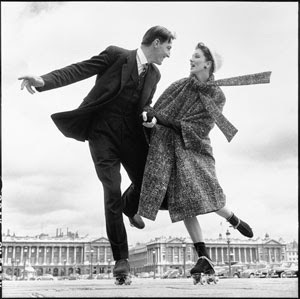 We saw the fabulous Richard Avedon collection of photographs from 1944-2000. This is the model Dovima at the Cirque d'Hiver in Paris in 1955, wearing Dior. And the model, Veruschka from the 1960's. 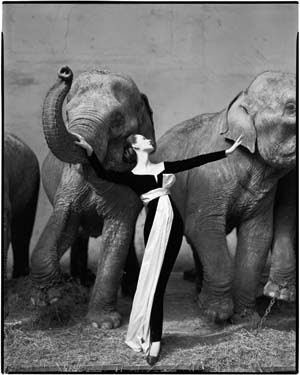 I actually remember seeing this photograph in Vogue when I was about thirteen. I used to babysit for a woman-doctor (very unusual in those days). She was from Ireland and very modern and very beautiful and she had two boys--twins. They were little hellions and always left me completely exhausted. Plus, I was expected to wash Madame Doctor and her husband's sink full of leftover dinner dishes. Ah, but once the dishes were done and the twins went to sleep, I got to read all of Madame Doctor's fashion magazines! They were much more fun than my mother's copies of "Good Housekeeping" and "Woman's Day." Oh, and no, I never did get to do my school homework! I think my fantasies of visiting Paris one day began on those nights, reading Vogue. Here's the model, Suzy Parker. Cute, huh? Later during my visit, Thelma and I went to The Omphoy Ocean Resort for tapas and drinks. She is so much fun to pal around with and I just love her! This is the beach at the resort. Don't you adore those beach cabanas? They actually cost a small fortune to rent, but they're pretty to look at. Oh, and I can't leave you without showing you this charming photo of Mary's backyard pool. She's a wonderful writer and I wouldn't even have been invited to speak about "French Women Don't Sleep Alone" at the Society for the Four Arts if it hadn't been for Mary's charm and perseverance! I used to babysit for a family like your Irish doctor! Hellions, dishes, but alas all I could read was Chatelaine or the local newspaper so I did get my homework finished! Palm Beach sounds like a great tonic to the winter weather! Yes, it was lovely. I'm now back in cold Cape Cod. How was your visit with Cheryl? I bet you two had so much fun! And what is Chatelaine? A Canadian magazine? This looks so glamorous and so fun! 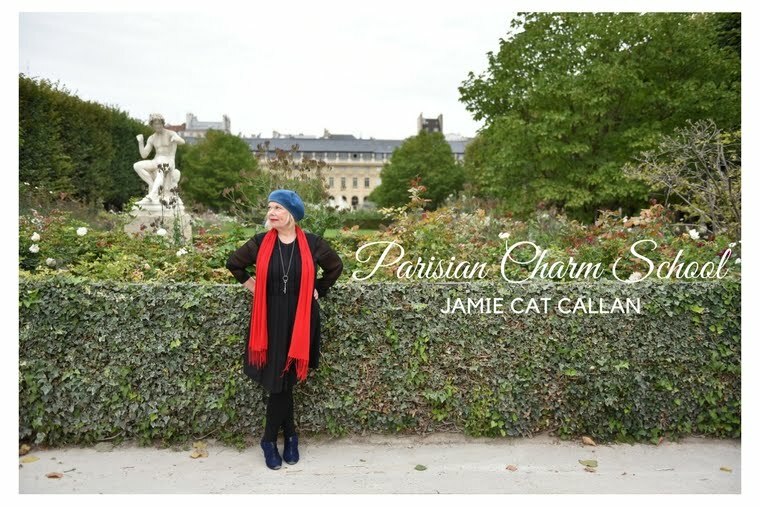 Jamie Cat Callan knows how to find the beauty and joy everywhere. Cheryl and I had a wonderful time, visiting, cooking and I really had missed her upbeat and positive energy. It was nice to see John as well! We laugh a lot when we all get together. It sounds like you'll be seeing them soon in France, your workshop sounds great. Thank you for the lovely comment on my blog. I am having a lot of fun with it too!